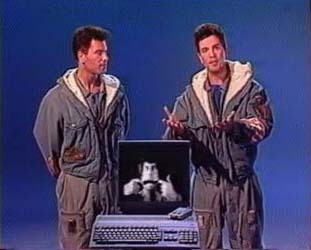 Amiga was also associated to 2 tv presenters: Igor and Grichka Bogdanoff. They presented a show talking about science and future. The name was « Temps X ». It was a science show. 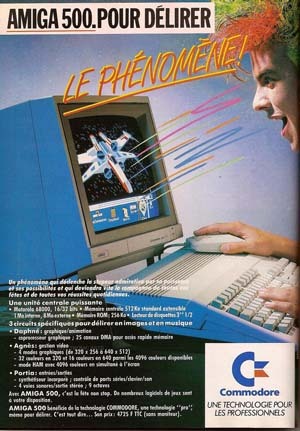 Before having an Amiga 500, I was very impressed by the adverts showing great arts. Once I’ve heard a real demonstration of the Amiga 500 playing music. That was great. Another commercial for Amiga is this one. All fathers say « my son have this or this » and last one say « my son have an Amiga! ».